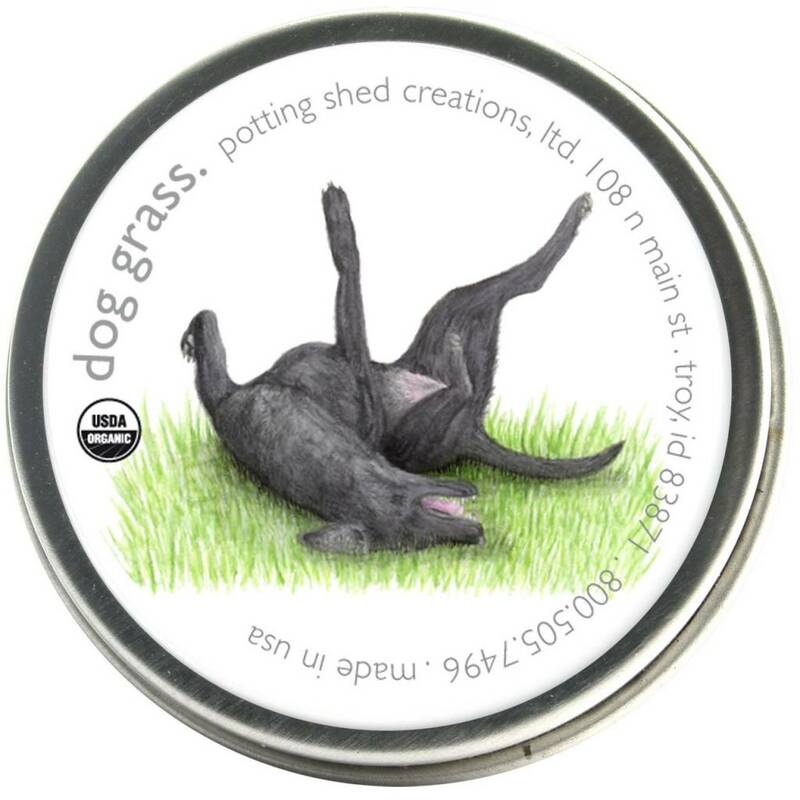 Organic Dog Grass (Barley Grass, Hordeum vulgare) Dogs love grass. They roll and play on it, and like to eat it too. Barley grass is good for dogs, providing essential vitamins and minerals. It is also rich in Chlorophyll which acts as a natural detoxifier, mild antibiotic and deodorizer. An easy to grow treat for pet health and vitality. Includes: organic seed, reusable recycled US steel tin, directions. Tin 2" diam.